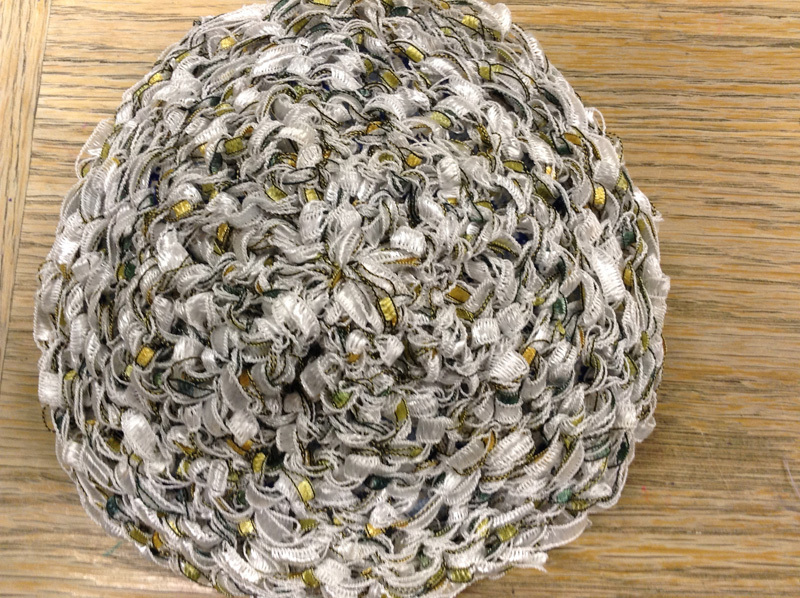 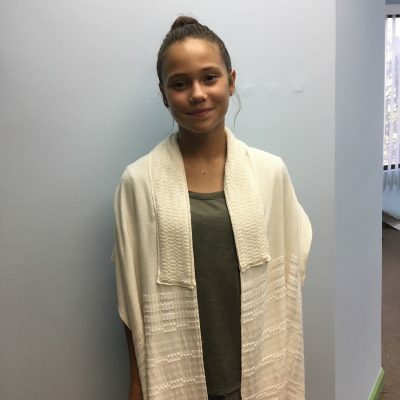 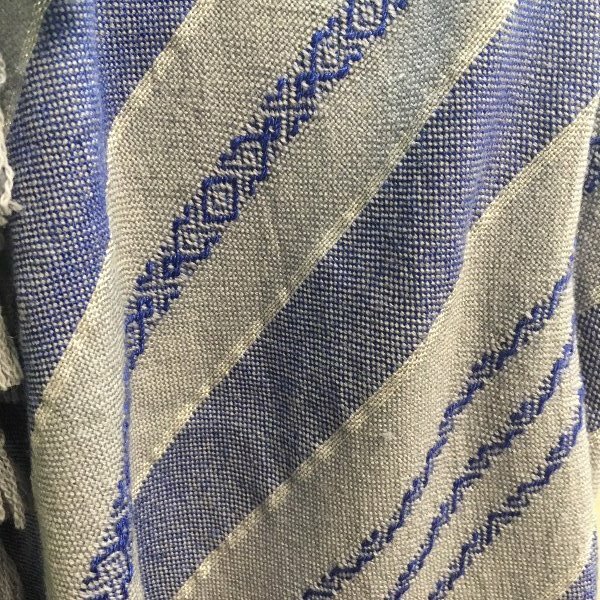 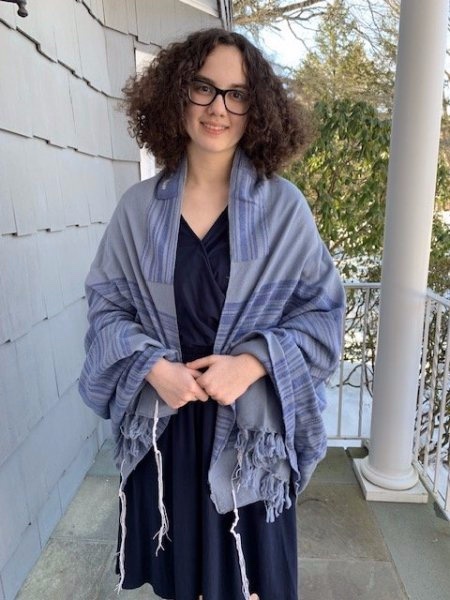 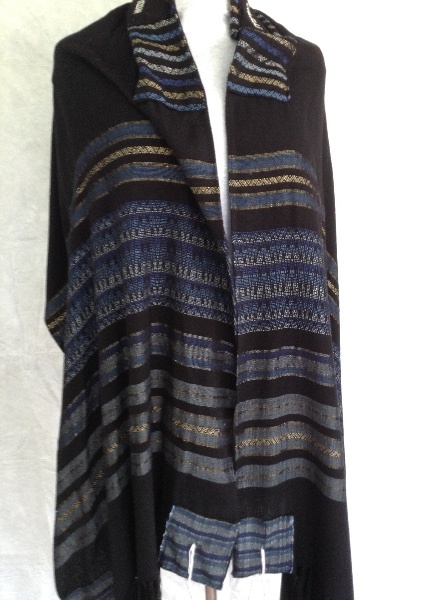 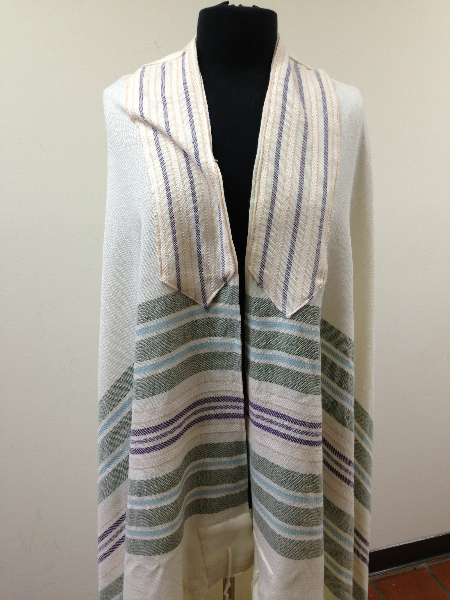 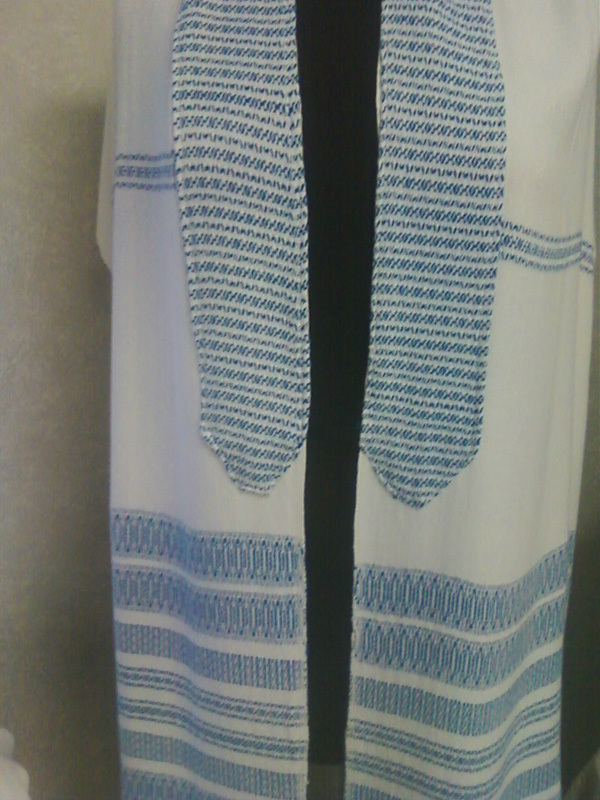 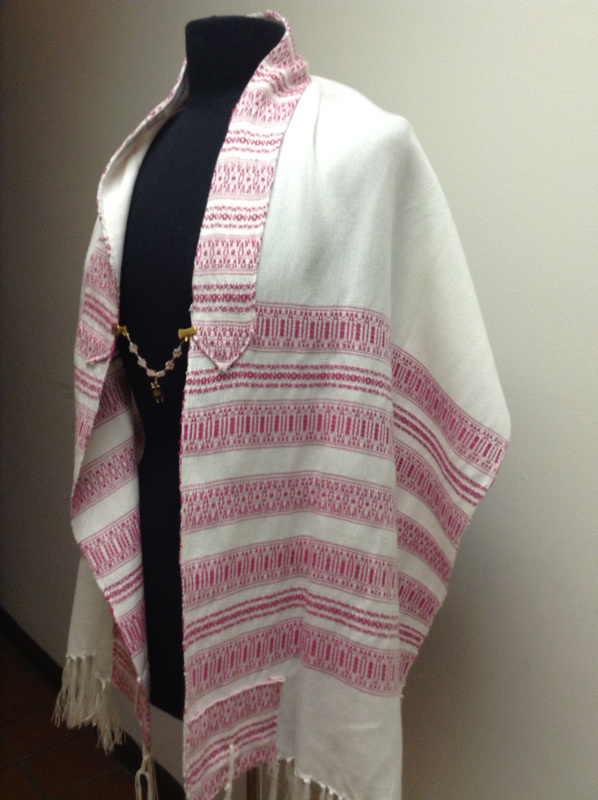 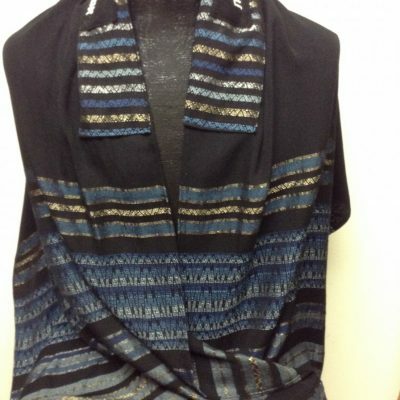 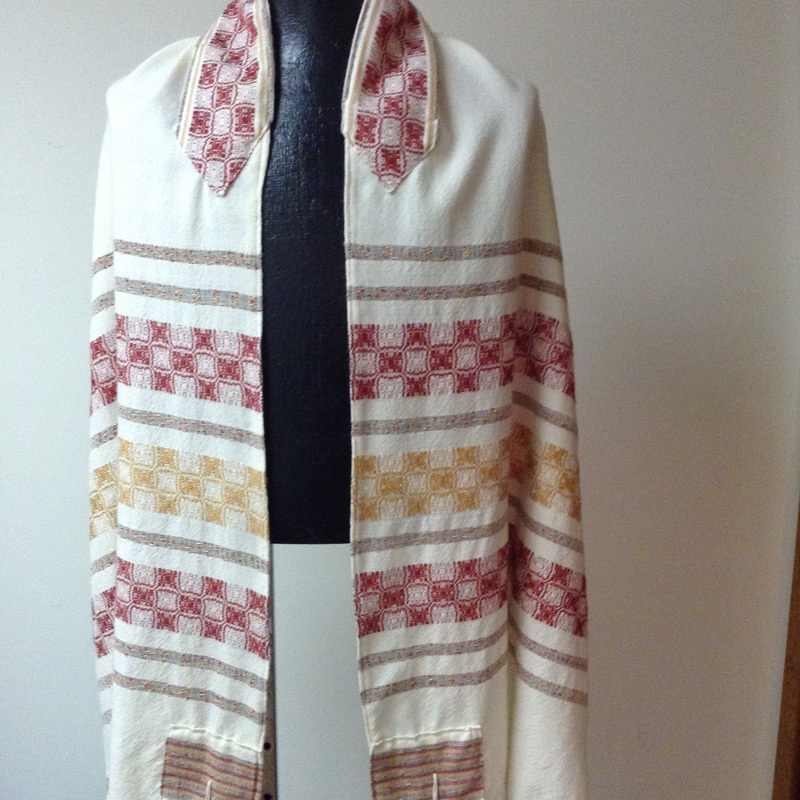 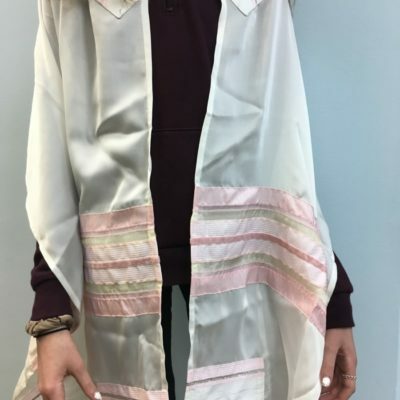 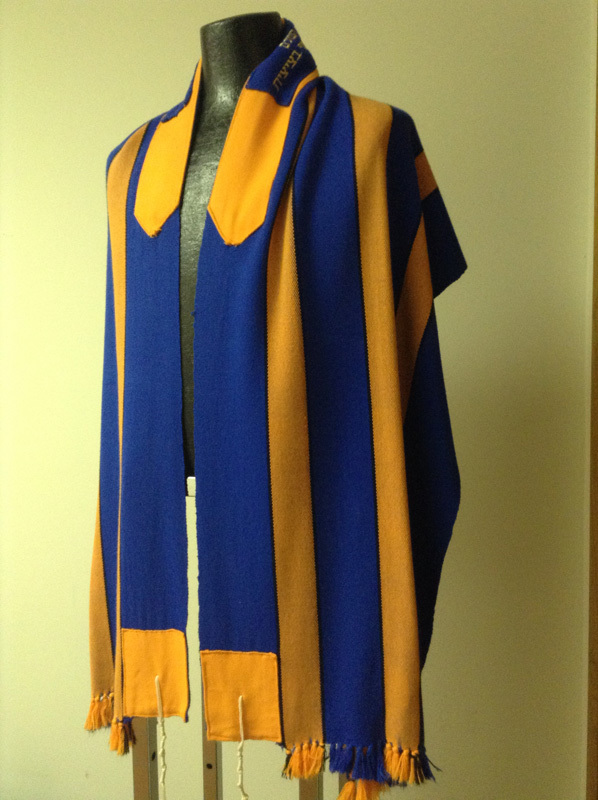 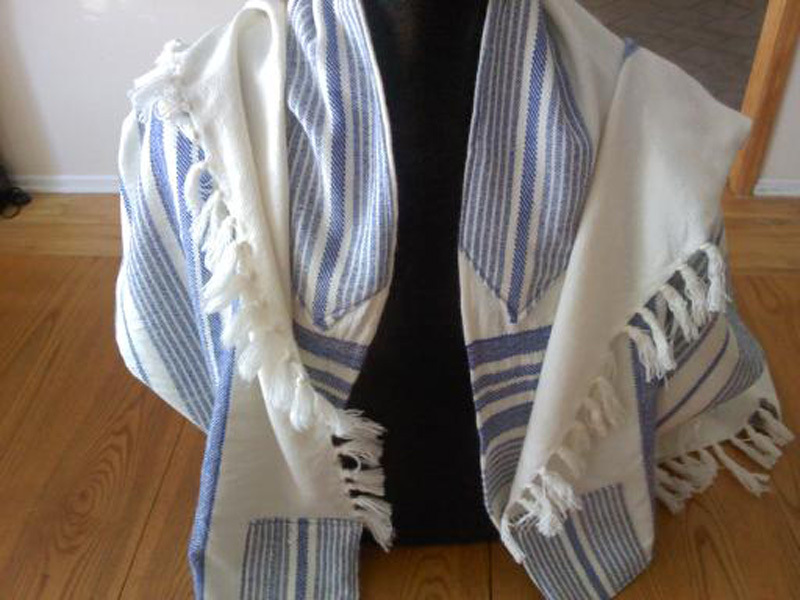 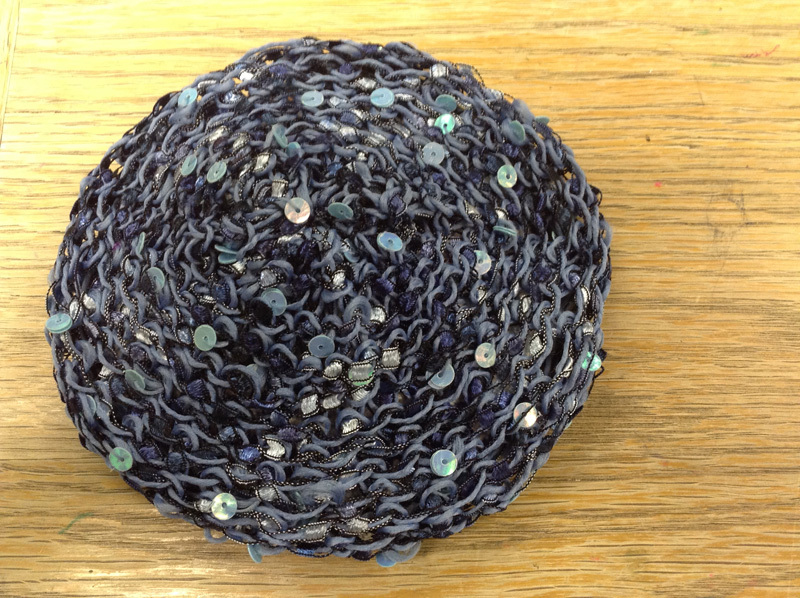 This light tallit is woven in Bambu yarn. 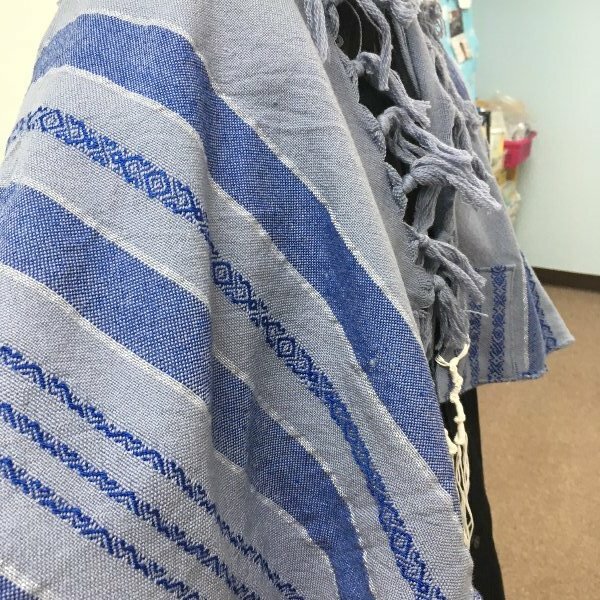 Enjoy the best of both worlds, the softness of bamboo and a soft blue stripe. 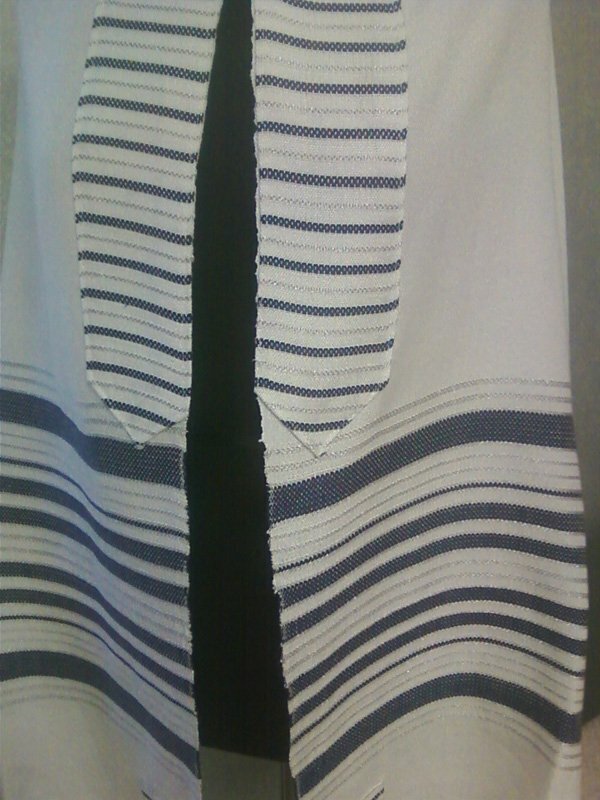 This is a smaller sized tallit, 17″ wide x 66″ long. 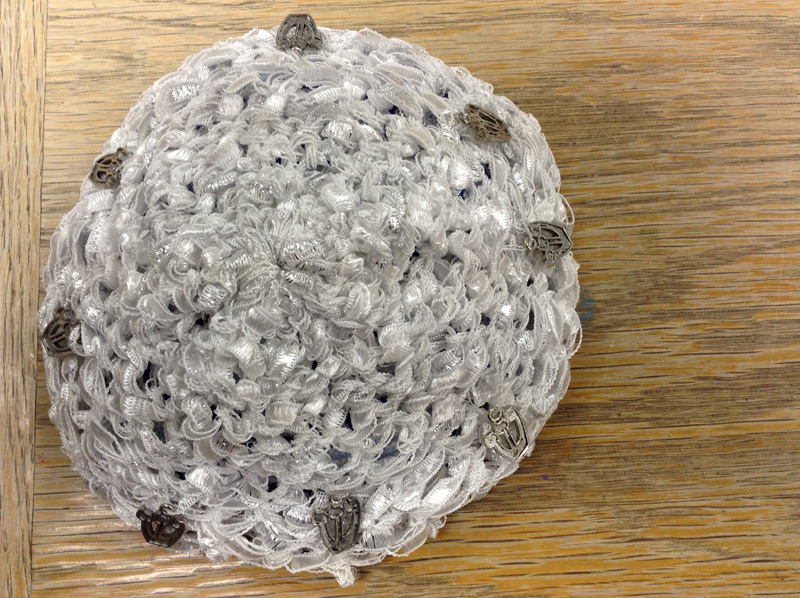 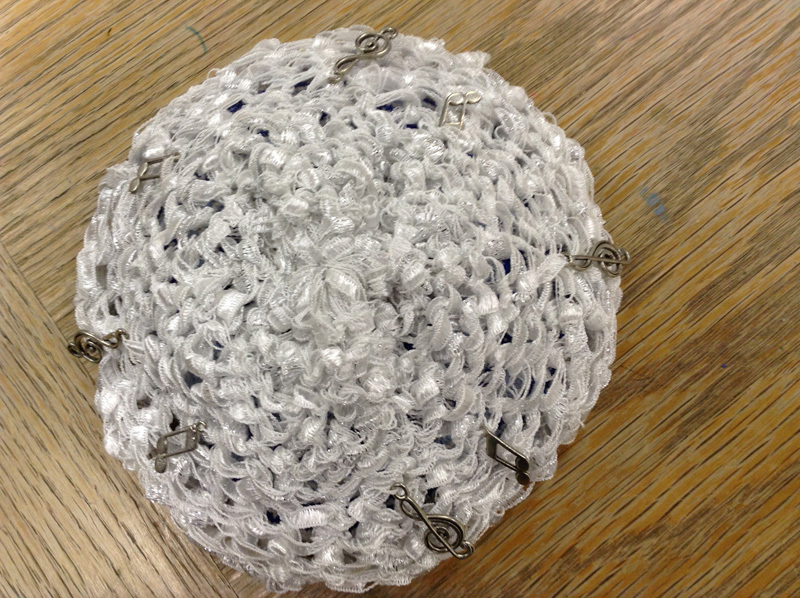 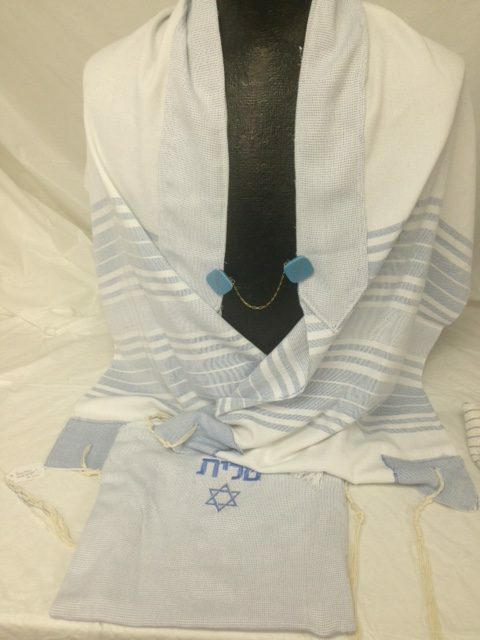 The included bag is embroidered with the word “TALLIT” in Hebrew letters and a blue and silver Star of David.